In 1968, following a legal battle with his former producer’s widow, Van Morrison was at last free to create music again, and Astral Weeks was released in November of that year. To Morrison’s chagrin, while capturing a few good critical write-ups, the album failed to sell. Time changed that initial judgment, and Astral Weeks is now regarded as a classic. This new expanded reissue adds four previously unreleased bonus tracks; 1970’s His Band and the Street Choir, also being reissued, comes with five previously unreleased bonus tracks. 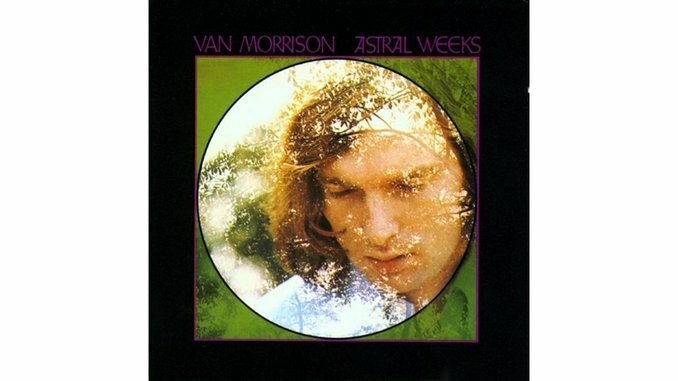 Astral Weeks opens with the lines “If I ventured in the slipstream/between the viaducts of your dream,” sung in Morrison’s distinctive languid tones. This was the guy who, as lead singer of Them, had previously bawled his way through the likes of “Gloria” and “Baby Please Don’t Go,” then crashed the Top 10 with decidedly poppier “Brown Eyed Girl.” Astral Weeks pursues a different direction. It’s a real hybrid; the bluesy twang of Morrison’s voice, the folk and classical underpinnings of the musical arrangements, the jazz cadences. No wonder it failed in the commercial marketplace; there was no ready category to stuff it into. Though the album is best experienced as a single piece, some numbers do stand out. “Madame George” unfurls its tale of the enigmatic title character over nearly 10 minutes, as Morrison’s voice lulls you into a dreamlike state (even more so on Take 4 of the song, offered as a bonus track, where his vocal is pushed to the forefront). “Cyprus Avenue” swirls with nostalgic poetry, and the melancholy “Slim Slow Slider” brings the album to an elegiac close. His Band and the Street Choir is a very different album, in both form and feel. There’s no track that’s over five minutes, for example (in contrast, six of Astral Weeks’ nine songs were five minutes or longer). There’s more a bright and breezy pop feel, which makes it far more immediately accessible, from the opening “Domino” (the lyric itself states “I think it’s time for a change”) to the gentle finish of “Street Choir.” In between is a surfeit of light-hearted material, such as “Give Us a Kiss,” which skips along with a carefree ease (and a backing chorus accenting the action with a series of ‘50s-era “bop, bop, bops”), while the gospel influence is obvious on “Call Me Up in Dreamland.” In contrast, slower numbers like “Crazy Face” give Morrison a chance to stretch out more expressively. These are the bedrocks that founded Van Morrison’s future career in what became dubbed “Celtic Rock.” And his extraordinary voice, beautifully displayed on these two releases, is what has given his music so much resonance, both then and now.